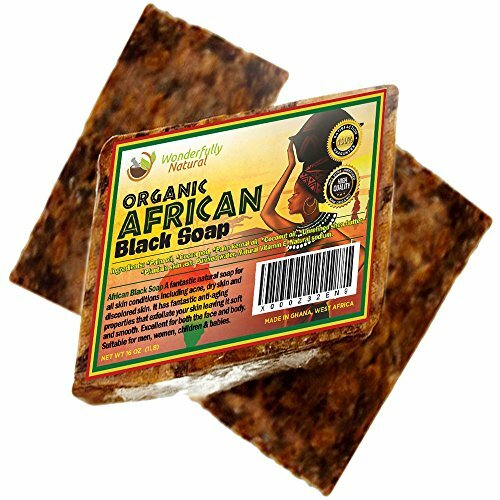 The organic African black soap is the best skin care product for the treatment of Acne, Eczema, Dry Skin, Psoriasis, Scars, Dermatitis, White Heads Pimples, Anti-fungal, Face and Body Wash. 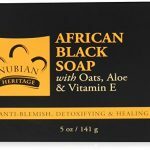 This raw handcrafted beauty scrub bar has been used for decades in Africa. 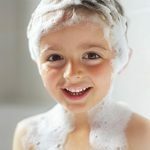 Skin diseases and condition can be embarrassing; this can happen to a baby, infant, teenager and adult. To clear and restore the skin, you need a genuine and authentic product that smooths and repair damaged skin. 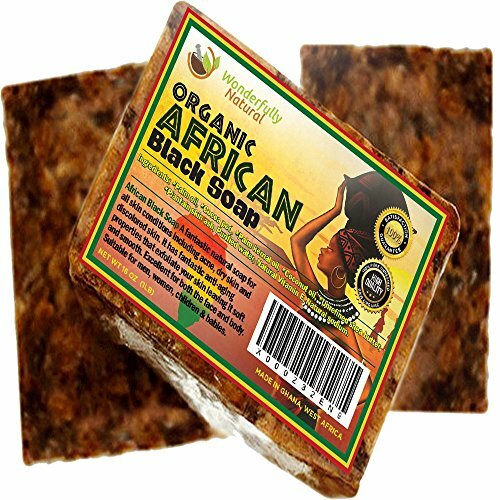 If you have wasted money on products that do not work in the past, give the African black soap a try. 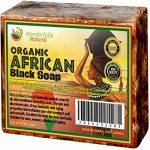 The testimonies and review of the African black soap say it all, the healing power it has helped and improved millions of lives worldwide. 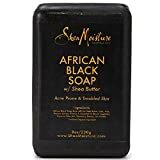 The soap is simple but works wonders, it has a quick healing power, that smooths the skin, balances it and gives it a soothing feel. Get rid of the embarrassing acne, eczema, rashes and psoriasis with African Black Soap. 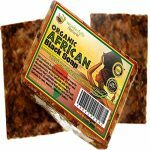 The organic African black soap is a 100% natural, with Shea Butter, Palm Oil, Cocoa Pod, Palm Kennel Oil, Coconut Oil, Plantain Skin Ash, Purified Water, Natural Vitamin E, and Natural Sodium. 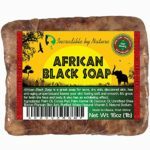 The black soap heals and repairs damaged skin, it moisturizes the skin and gives it a smooth feel. 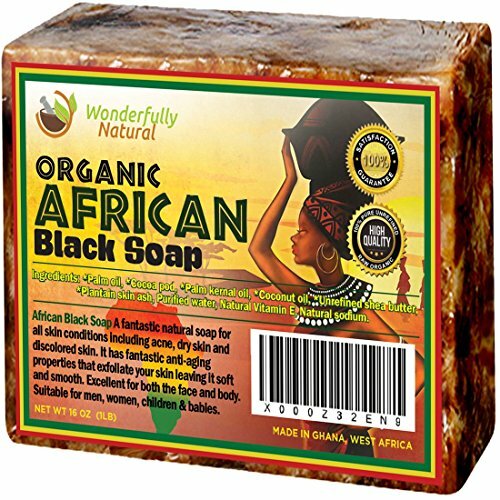 The soap contains a good amount of Vitamins A and E. It has a reputation for healing sores, burns, scars, and to treat acne, dermatitis, psoriasis, and eczema. It also has anti-ageing properties which promote cell renewal and diminish the appearance of wrinkles. How effective is the creams, astringents, gels, soaps, toners, and creams you have been using? Most times; they never work, or you keep using them with little or no impact. 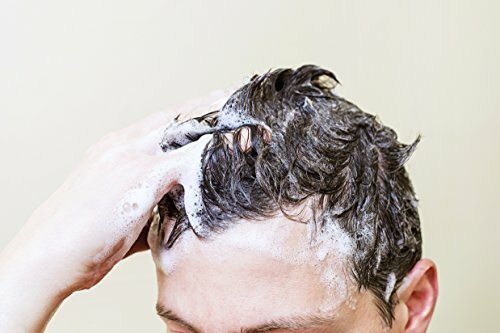 Some of these products are designed to make you keep buying them and solely rely on them. 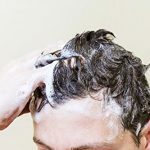 It is excellent for shaving and cleansing your scalp: Perfect to use as a unscented shampoo soap or anti fungal hair conditioner to balance your natural skin oils and help REMEDY DANDRUFF, or even to SHAVE. 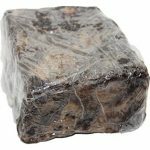 The African black soap is very reliable, and results can be seen in two to three days. 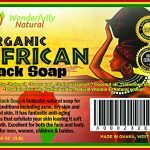 It is used for centuries to treat all skin conditions, especially Acne, Eczema, Psoriasis, Dry Skin, Dermatitis, and Rashes. The soap is by nature, hypoallergenic, and friendly. 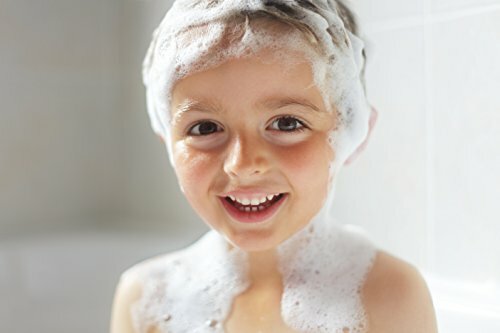 The soap is commonly used for newborn babies, infants, and teenagers. 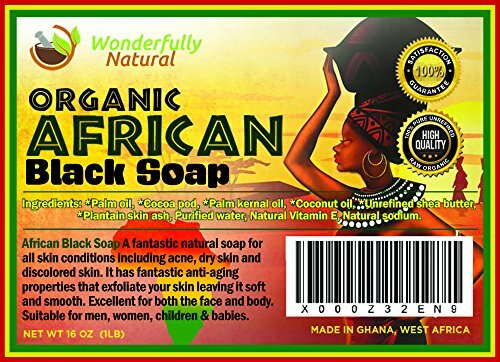 It clears an ugly pimple, spots, oily skin, white heads, eczema, rashes, and acne. 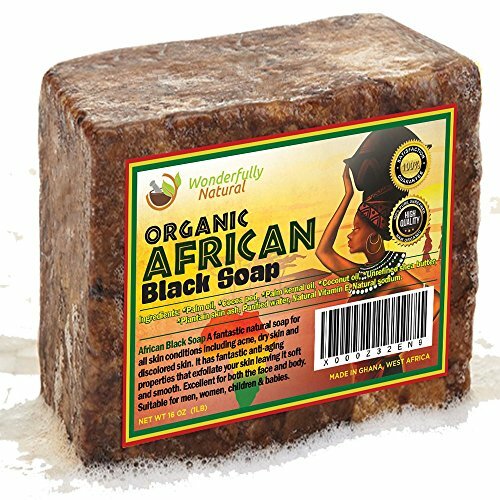 The soap does an excellent job moisturizing the skin, and it is vegan-friendly. Buy now and purchase risk-free with 30 DAYS MONEY BACK GUARANTEE. Highly recommend. I have had back acne for many years (I am 37-years old). This is the cheapest thing out there that has cleared my back. Even my husband has commented on how good my back looks and that is unusual for him. Awesome amount of product for the price. 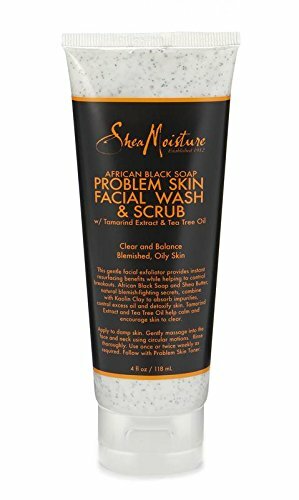 Skin is smooth and clear. I have seborrhic dermatitis, and it has helped a lot.